This 6 light Foyer from the Cirrus collection by Hinkley Lighting will enhance your home with a perfect mix of form and function. The features include a Brushed Nickel finish applied by experts. This item qualifies for free shipping! Q Is the the shade sealed on all sides? Or, are the bulbs exposed on the top to provide greater ceiling light? 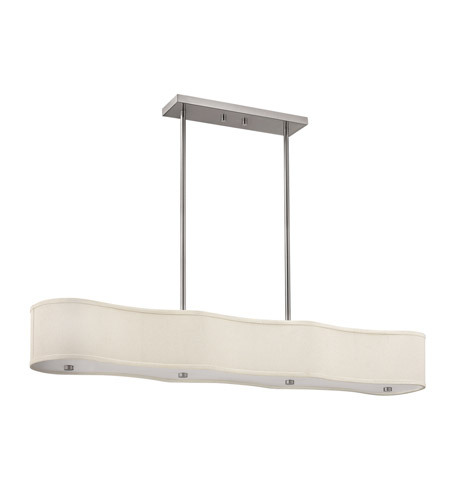 A The Hinkley Lighting Cirrus 6 Light Foyer with Ivory Fabric Hardback Shade 3806BN-GU24 is open on the top.